Residential security system installation in Sacramento. Professional surveillance system repair, servicing and installation. We also provide voice and data structured wiring, home media center networking, home alarm systems. Mr Surveillance is the best security service installation company in the Northern California area. For several years we have been providing Business Owners and Homeowners in Sacramento and Surrounding areas with surveillance and security solutions or personal protection products. Our goal is to provide the best professional installations and services for IP security cameras, network remote access, commercial access control systems, security video surveillance systems, wireless security cameras and home security alarms for all residential and commercial properties. We are leading service provider of hi-tech surveillance systems across Northern California by exceeding our customers expectations of quality service at a great price. We promise to provide the best security installations in Sacramento and the northern California area. Were not happy with simply installing the system a good installation for us is when no wires are visible. Eliminating the possibility of vandalism by making the system tamper proof. Wireless IP Camera Installation, Security Camera and Alarm System Installation in Sacramento, We offer the installation of any security or electronic component. Security and alarm installation is what we do best. Wireless IP Camera Installation – We professionally install wireless IP cameras in the greater Sacramento area and all of Northern California. Tamper Proof Camera Installation – Tamper proof cameras are needed on any exterior installation. DVR System Networking Installation – There are many different types of DVR systems. What type the system is the best for your home and family? Night Vision Camera Installation – Night vision cameras and infrared cameras are important for any exterior systems. Hidden Camera Installation Sacramento – Hidden cameras are built into security systems. There are many types and styles available. Digital Video Recorder Installation – A digital video recorder is required for security camera systems to operate. Nanny Cam Installation – What happens when you’re not home? Are your children happy with their babysitter. Mr Surveillance Blog – Keep up to date with the industry’s most advanced Surveillance technology. 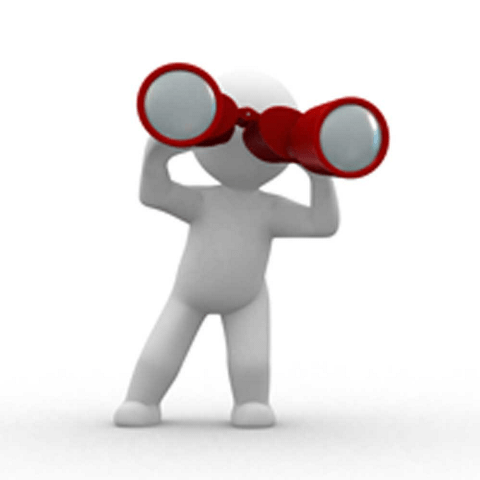 Commercial Alarm System – A commercial alarm system is very important when you own a business. Protecting your business is easist when you have control. Wireless Home Alarm Installation – Have us install your wireless security system and a wireless home alarm system. Home Alarm System Installation – Low cost home security & surveillance alarm system installation in Sacramento California. Remote MonitorRemote Monitoring Network Installation – Security is your peace of mind. Remotely view your home and family from your mobile device. Access Control System Installation – Access control systems have different uses. Some features of biometric scanners, remote monitoring, keyless door locks. Biometric Scanner Installation – Biometric scanners use fingerprint & retina scan in order to give access to employees & customers. Voice and Data Wiring – Intercom systems & network phone lines all run off of voice & data wiring. Structured data wiring is very important in any office. Network Installation – We can handle all of your network installation needs voice & data wiring. Keypads and Keyless Door Lock Installation – Keyless door locks, keypads are a very an important part of any security system. Phone System Installation – Phone Line Installation is required for all businesses whether you have 210 or 50 lines you can save money by installing your own phone system. PBX Phone System Installation – PBX phone systems have led the industry in versatility & features until lately. Voice over IP better knowing as VOIP has become the best choice for a business. VOIP Phone System Installation – VOIP or voice over Internet protocol is the latest in corporate call center technology. This system will help lower overall equipment costs and monthly bills & producing a higher ROI. Time Clock System Installation – Today’s time clock systems are completely integrated into your accounting software. Eliminate hundreds of hours yearly just by having your employees hours automatically calculated. POS System Installation – Nowadays POS systems are tied directly into your security camera system. The system will keep a complete register of transactions & video that corresponds. Intercom System Installation – Secure your business by controlling who enters and exits. Most intercoms are tied into an access control system to allow total monitoring of your entry & exit points of your business. Home Media Center Installation – Connect all of your displays in your home through your media center. Transfer from one electronic device to another easily. Home Theater Installation – Home theater installation is easy when done by professionals, connect your home wirelessly through IP network. Home Video Display Installation – Have your flatscreen’s & other displays installed professionally by Mr Surveillance. Wireless IP Camera Installation, Security Camera and Alarm System Installation in Sacramento, We offer the installation of any security or electronic component. Security and alarm installation is what we do best. We professionally installed wireless IP cameras in the Sacramento area and all of Northern California. Click here to go to our wireless IP camera installation page. Tamper proof cameras are a must on any exterior installation. Which tamper proof camera is right for your home go to our tamper proof camera installation page. There are many types and styles of DVR systems. What type the system is right for your home and family? Learn what DVR system is right for you. Night vision cameras or infrared cameras are important in an exterior systems. Learn more about night vision cameras by going to our page. Hidden cameras are incorporated into most security systems. There are many styles and types available. A digital video recorder is necessary for security camera system to operate. Learn more about digital video recorders. What happens when you’re not home. Are your children happy with your babysitter. Learn more about nanny cameras. 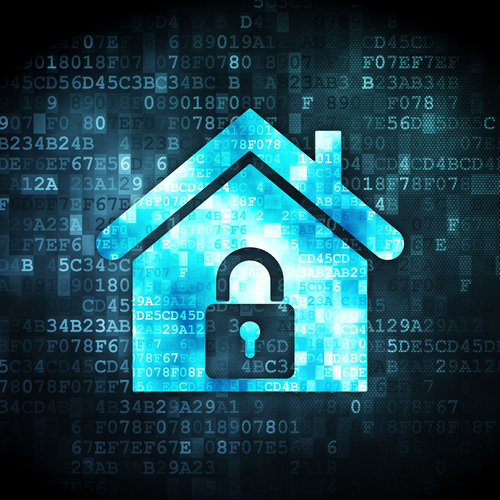 Email us to set up a time for your in-home security consultation. Secure your business by controlling who enters. Most intercoms are tied into an access control system to allow total monitoring of your entry and exit points of your business. Click here to learn more about intercom system installations for commercial use. Security is peace of mind. Remotely view your home from your mobile device. Have us install your security system and hours with a wireless home alarm system. Install a wireless home alarm system. Low-cost home security and surveillance alarm system installation in Sacramento California. Click here to view more residential alarm systems. Intercom systems and network phone lines all run off of voice and data wiring. Structured data wiring is important in any office. Learn more about voice and data wiring. We can handle all of your network installations voice and data wiring. 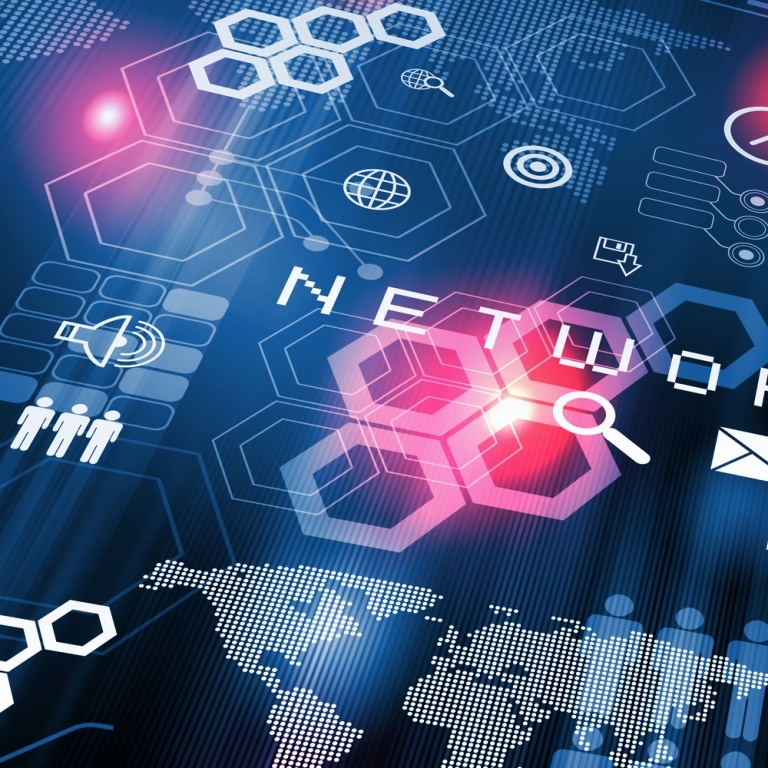 Learn more about installing a network in your business. Keyless door locks, keypads are an important part of any security system. There are lots of different types of systems. Learn more about keyless door locks and keypads. Phone Line Installation is needed in all businesses whether you have 2 10 or 50 lines you can save money by installing your own phone system. What type of phone system is right for your business? PBX phone systems have led the industry in versatility and features until lately. Voice over IP better knowing as VOIP has become the only choice for a business. Learn more about PBX phone systems. VOIP or voice over Internet protocol is the newest in corporate call center technology. This system will help lower equipment costs and monthly bills and producing a higher ROI. Connect all your displays in your home through your media center. Transfer from one device to another easily. Learn more about media center installation in your home. Home theater installation is easy when it’s done by professionals connect your home wirelessly through IP network. Learn about our home theather installation service. Have your flatscreen’s and other displays installed professionally by us. Explore the possibilities of displays in your home. We promise to provide the best security installations in Sacramento and the northern California area. Were not happy with simply installing the system a good installation for us is when no wires are visible. Eliminating the possibility of vandalism by making the system tamper proof. You work hard pushing to make your business succeed, it is your livelihood, So it’s crucial to protect it from external and internal crime,environmental and fire hazards with a quality commercial alarm system in Sacramento. Whether your business is large or small, a company or a neighborhood shop, Mr Surveillance can provide solutions tailored to fit any unique need. Our experts will meet with you, personally get to know your business, evaluate your security goals, and implement a security system which is cost-effective, convenient and reliable. With Mr Surveillance, you can rely on quality equipment from many of the leading manufacturers in the industry, expert installation, an award winning monitoring service, and highly responsive customer care. An when your business grows, or you should address new threats or opportunities to protect yourself, our intelligent security systems ensures that your business is always able to scale your security system to your needs. Burglary and Fire are two of the primary threats that might deliver a devastating blow to your business, your employees, your assets and customers. When Mr Surveillance experts talk with you to learn about your security needs, they’ll assess your distinct risk for burglary, fire and deadly carbon monoxide leaks. Then they’ll design a custom tailored system to your business needs. Mr Surveillance will help you protect your business with top quality, reliable security alarms from the best security equipment manufacturers on the market. Our experts custom design and purchase a cost effective solution that complies with local jurisdiction codes and insurance requirements in Sacramento. Should a break in occur, the machine triggers audible and visual alarms to ward off burglars. User friendly control panels which are easy to operate. Wireless keypads and keychains in order to control your alarm system from anywhere inside or near your small business. Motion sensors, window / door contacts and glassbreak detectors that trigger audible and visual alarms to warn intruders. Mobile solutions than enable you to arm and disarm your system and get notifications on your computer or smartphone. Uninterruptible power supply that provide continuous monitoring of your security system. Cellular backup that prevents interference with landlines or weather. An award winning monitoring service to quickly notify authorities in the event of a burglary or home invasion. Rapid response throughout a fire can make all the difference in preserving lives and property. Mr Surveillance helps save you critical seconds with a range of fire protection solutions, each implemented in a way that’s best for your commercial or small business. Smoke detectors that use photoelectric technology, accurately alerting one to a fire while decreasing cases of false alarms. Automatic sprinklers that activate when heat is detected so measures are taken to control the fire even before the local fire department arrives. Manual pull stations to trigger audible and visual cues that a fire is occurring. Duct smoke detectors that de-activate air ventilation units to cut back smoke inhalation. If an alarm is triggered, audible and visual alerts notify occupants. Carbon monoxide detectors are placed strategically throughout your company to warn you of toxic dangerous levels so occupants can readily evacuate. Monitoring Center employees are immediately notified so they can contact you or send help if required. Our service includes replacing your detectors every 5 years so you can be sure you’re always protected. 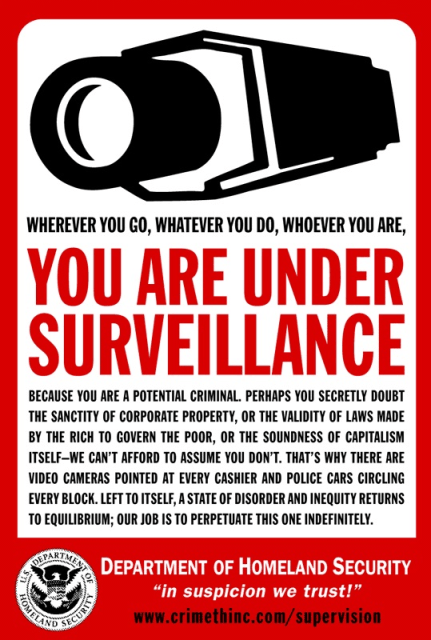 Speak to a Mr Surveillance Affiliate in Sacramento today (916) 550-4386. The human retina is a thin tissue made up of neural cells that is based in the posterior portion of the eye. Due to the complex structure of the capillaries that supply the retina with blood, every person’s retina is unique. The network of arteries in the retina is not entirely genetically determined and so even identical twins usually do not share a similar pattern. Although retinal patterns may be altered in cases of glaucoma, retinal degenerative disorders or diabetes, the retina typically remains unchanged from birth until death. Because of its unique and unchanging nature, the retina seems to be the most precise and reliable biometric, in addition to DNA. Advocates of retinal scanning have figured it is so accurate that its error rates are estimated to be only one inside a million. A biometric identifier termed as a retinal scan is used to map the patterns of a person’s retina. The bloodstream within the retina absorb light more readily than the surrounding tissue and are easily identified with appropriate lighting. The system performs a retinal scan by casting an unperceived beam of low-energy infrared light in to a person’s eye as they look through the scanner’s eyepiece. This laser beam traces a standardized path about the retina. Because retinal blood vessels are more absorbent on this light than the rest of the eye, the volume of reflection varies during the scan. The pattern of variations is transformed into computer code and held in a database. Iris recognition is definitely an automated method of biometric identification that utilizes mathematical pattern-recognition techniques on video images of the irides of an individual’s eyes, whose complex random patterns are unique and can be seen from some distance. Never to be confused with less prevalent, ocular-based technology, iris recognition, retina scanning uses camera technology with subtle infrared illumination to acquire images of the detail-rich, intricate structures in the iris. Digital templates encoded from these patterns by mathematical and statistical algorithms enable the identification of an individual or someone pretending to be that individual. Custom databases of templates are searched by matcher engines at speeds measured from the millions of templates per second per CPU, sufficient reason for infinitesimally small false match rates. Many millions of persons in several countries around the world have been enrolled in a iris recognition system, for convenience purposes such as passport free automated border crossings, and some national ID systems determined by this technology are being deployed. An integral advantage of iris recognition, besides its speed of matching as well as extreme resistance to false matches, will be the stability of the iris as a possible internal, protected, yet externally visible organ with the eye. Finger Scanning, also known as fingerprint scanning, which is the process of electronically obtaining and storing human fingerprints. Digital image obtained by such scanning is termed a finger image. Some texts say, the terms fingerprinting and fingerprint are widely used, but technically, these terms reference traditional paper and ink processes and images. Finger scanning is really a biometric process, because it requires the automated capture, analysis, and comparison of the specific characteristic of the human body. There are a variety of different ways in which an instrument can bring out the details in the pattern of raised areas (called ridges) and branches (called bifurcations) in a human finger image. The most frequent methods are thermal, optical, and tactile. They work using heat emission analysis, visible light analysis, and pressure analysis, as applicable. 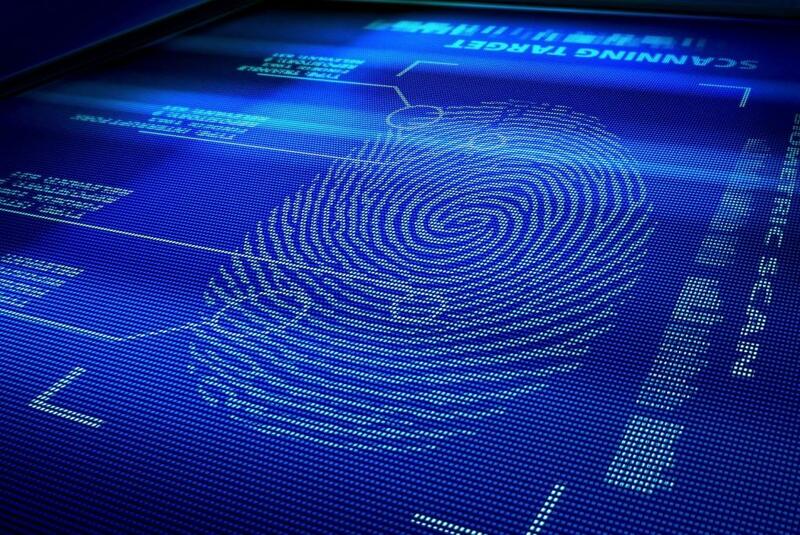 Biometric finger scanning offers improvements over ink-and-paper imaging. A whole set of finger scans for an individual (10 images, including those of the thumbs) can be distributed, easily copied, and transmitted over computer networks. 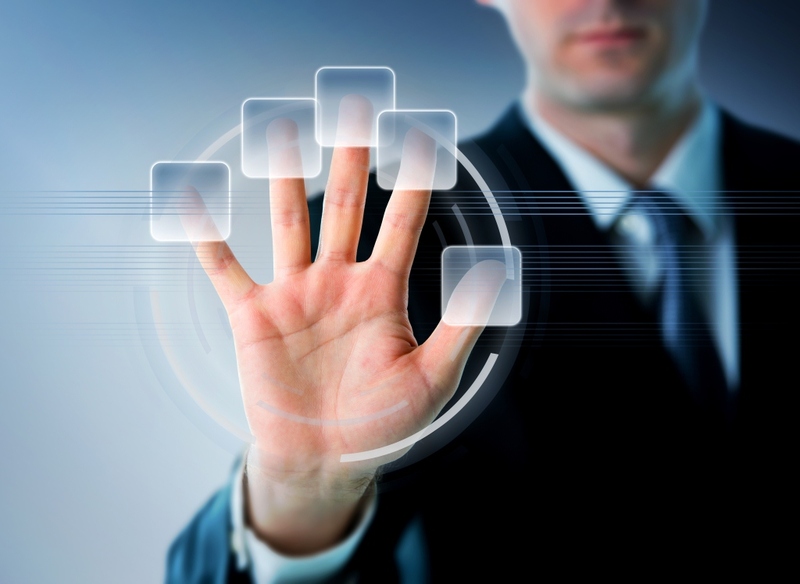 Also, computers can quickly analyze a finger scan and compare it with thousands of other finger scans, along with with fingerprints obtained by traditional means and after that digitally photographed and stored. This greatly accelerates the process of searching finger image records in criminal investigations. Some facial recognition algorithms identify facial features by extracting landmarks, or features, from a graphic of the subject’s face. By way of example, an algorithm may analyze the relative position, size, and/or shape of the eyes, nose, cheekbones, and jaw. These traits are then used to search for other images with matching attributes. Other algorithms normalize a file of face images and then compress the face data, only saving your data in the image that is ideal for face recognition. The probe image is then compared with the face data. One of the oldest successful systems is based on template matching techniques applied to a set of salient facial features, providing some type of compressed face representation. Recognition algorithms should be divided into 2 main approaches, geometric, which examines distinguishing features, or photometric, the statistical approach that distills a picture into values and compares the values with templates to eliminate variances. Popular recognition algorithms include Linear Discriminant Analysis, Principal Component Analysis using eigenfaces, Elastic Bunch Graph Matching with all the Fisherface algorithm, the Multilinear Subspace Learning using tensor representation, the Hidden Markov model, and also the neuronal motivated dynamic link matching. The newest wave, claimed to achieve improved accuracies, is a three dimensional face recognition. This system uses 3D sensors to capture information about the shape of a face. This data is then used to identify distinctive features at first glance of a face, such as the contour from the nose, eye sockets, and chin. One benefit from 3D facial recognition is that it is not affected by changes in lighting like other techniques. It may also identify a face from the range of different viewing angles. Three-dimensional data points coming from a face vastly improve the precision of facial recognition. 3D research is enhanced with the development of sophisticated sensors which do a better job of capturing 3D face imagery. These sensors work by projecting structured light to the face. Up to a dozen or higher of these image sensors may be placed on the same CMOS chip-each sensor captures a different part of the spectrum. Even a perfect 3D matching technique might be sensitive to expressions. Another trend uses the visual information the skin, as captured in standard digital or scanned images. This technique is called skin texture analysis, turns the unique patterns, lines, and spots apparent within a person’s skin into a mathematical space. Tests demonstrate that with the addition of skin texture analysis, performance in recognizing faces can increase 20 to 25 %. Speaker recognition will be the identification of the person who is speaking by characteristics of their voices (voice biometrics), also called voice recognition. There is a difference between speaker recognition (recognizing that’s speaking) and speech recognition (recognizing precisely what is being said). These two terms are generally confused, and “voice recognition” can be used for either. In addition, there is a difference between the act of authentication (commonly referred to as speaker verification or speaker authentication) and identification. Finally, there exists a difference between speaker recognition (recognizing who is speaking) and speaker diarization (recognizing if the same speaker is speaking). Recognizing the speaker can simplify the job of translating speech in systems which have been trained on specific person’s voices or quite a few to authenticate or verify the identity of a speaker as part of a security process. Speaker recognition features a history dating back some 40 years and uses the acoustic top features of speech that have been found to differ between individuals. The acoustic patterns reflect both anatomy (e.g., decoration of the throat and mouth) and learned behavioral patterns (e.g., voice pitch, speaking style). Speaker verification has earned the speaker recognition in its classification like a “behavioral biometric”. Keep up-to-date with the industry’s newest in Surveillance technology advances. Click here to go to our blog. A commercial alarm system is important when you own a business. Protecting your business is easier when you have control. To learn more about commercial alarm systems. Access control systems have many different uses. Some of the features are biometric scanners, remote monitoring, keyless door locks. Call us for a security evaluation for free. Biometric scanners use fingerprint and retina scan in order to give access to employees and customers. Learn more about biometric scanners. Today’s time clock systems are completely integrated into your accounting software. Eliminate hundreds of hours yearly by having your employees hours automatically calculated. Learn more about digital time clock systems. Nowadays POS systems can be tied directly into your security camera system the system will keep a complete register of transactions and video that corresponds. Learn more about POS systems for your business. Business are susceptible to internal, as well as external threats. Mr Surveillance access control solutions and systems can track and restrict who goes when, and where. Only authorized users can enter your facility, or designated areas in your facility thereby reducing the potential for internal theft and external threats, protecting your intellectual and physical property, and limiting potential workplace violence. Our core offering, Mr Surveillance Managed Access, offers you full control over the movement of visitors, employees and contractors with your facility. Access cards give users entry to authorized areas and there won’t be any codes to remember. Plus an endless number of access cards gives you the flexibility in authorizing access to sensitive areas within your building. Mr Surveillance manages and monitors your office 24 hours a day. We make a record of cardholders and generate entry and exit reports within your internal system. If you would like, you can view attendance, time and scheduling reports; program scheduled door locks/unlocks; disarm a user’s access card or assign access levels; and perform other management functions at our password-protected, secure user interface. Access control fully integrates with Mr Surveillance’s Audio Detection system for maximum security. When an individual uses her or his access card to enter a door, the system automatically deactivates the alarm. Similarly, the device can re-arm after a cardholder exits. It’s virtually removes user-triggered false alarms. Capabilities include ID badging and integration together with your visitor management system, real-time monitoring by using an interactive blueprint, and live video monitoring with DVR features intergrated. Simplify security with one-click system-wide changes. For instance, if you need to close the building for a snow-day, simply set up the predefined alert system. The device can automatically turn on the security alarm, deny door access to general personnel, send a message to the HVAC system in order to reduce the heat and send e-mail or texts to notify personnel of the closure. Access control can also be totally integrated with our home security systems, as well as with HVAC and lighting systems. Mr Surveillance Access Control System uses familiar Microsoft SQL Server technology and relies on secure connections using SSL data authentication and encryption. It is built on the Linux operating system, which is far less susceptible to viruses or system corruption. The embedded technology is easily upgraded. If you want an access control system that could grow with your company, Mr Surveillance supplies a powerful solution with Mr Surveillance Access Controls. Scalable from entry level to enterprise wide, this next generation security management system combines simplicity with an exceptional level of control. With four configurations; Lite Access, Standard Access, Plus Access and Professional Access – we are able to provide the ideal match for your access control needs today and tomorrow. Mr Surveillance Access Controls comes with an intuitive graphical user interface for simple set-up, training and operation. This feature rich event management method is built on a cardholder centric database that supports many user variations, including multiple permissions by user and passwords. With four views on the event monitor, and a great deal of event filters, it supports simultaneous access control and security coverage of separately defined regions. Like several Mr Surveillance access control systems, Mr Surveillance Access Controls integrates with intrusion alarms and Video/DVR/CCTV as well as HVAC and other systems for optimum security. In addition, to complete compatibility with Mr Surveillance 32-bit controllers, it offers seamless integration using a range of third-party products. The system may be configured to operate on your LAN or secured WAN, as well as remote dial-up capability offers further alternatives for extending security across your online business. Data cabling is very a simple matter of just sticking a cable within a wall socket and the opposite end in a computer, but since there are various sorts available, a professional installation is highly recommended to make sure the right software, equipment and layout are widely used. This prevents performance problems, it avoids accidental damage and it keeps the device operating correctly. Wi-fi Networking or Wireless Networking is about the easiest of installations. Once an Internet access system is in place, the Wi-Fi is broadcasted from the computer by setting up a router as well as the related software to manage it. The Internet access can be through a DSL, cable system, as well as other connection source. However, in order for the Wi-Fi feature to work, a wireless router is essential to emit the Internet signal towards the area it will service. Once established, any equipment a Wi-Fi receiver can then pick up the signal. Our professionals can handle the entire installation plus we establish security passwords needed to protect the account from unauthorized access and misuse by accidental. Computer networking necessitates the physical connection of various computers and servers together to be able to work as a complete integrated system. Ethernet cabling is probably the most common approach to these connections, running cables from the main server to connected computers to deal with from and to data traffic. Network cabling can become a rat’s nest in an office, even when planned and routed correctly. Using a professional installation the related cabling can be tucked back through “spine” routing through an office, only coming out to some computer or connection where necessary inside a clean, organized approach. This avoids accidental tripping or disconnections, this also protects the cabling from damage. A&V cabling follows most of the same principles as computer network cabling in its need to be installed in an organized approach or becoming a big mess. What makes A&V cabling a little more of a challenge is that it involves different cabling and connections. The correct cables need to be used to make A&V equipment compatible to the power sources along with the recipient equipment that produces the signal for audio or video. Again, having a skilled professional install can create a big difference in proper function and robustness of A&V equipment involved. VOIP networks integrate communication and voice units with an office’s Internet network. In most cases, the equipment and features use the same Internet cabling as computers. The VOIP aspects are managed through the software that routes the signals from the network to specific communication units and headsets. These particular types of installation, can be technical enough that guessing can damage the performance very quickly. Having a professional technician who knows how the various parts should interact correctly as well as the software installation will surely have an installation up and running quickly rather than fraught with failing connections and bad reception. Data center installations are highly complex simply because they typically involve multiple versions of cabling options. Take, for instance, a dispatch center. Setting up one means connecting phones, the computer network, possibly a wireless system for overflow computer connections when more assistance is needed and at least video cabling to display real-time status monitors in the center. These systems have to be integrated and routed properly. Bad connections can affect life or death situations people’s lives as emergency resources are dispatched. An experienced installation avoids such problems from the very beginning. For industrial data cabling, fiber cabling is likely the answer. With the use of fiber optics, such cabling handles thousands & thousands of data transactions instantly with plenty capacity to handle more. This type of installation is for entire factories or database warehouse facilities that move millions of data packets by the second. Our expertise can manage this sort of work without hiccups, keeping installation on track so that corporate and industrial systems can run on schedule.